In actuality, there are only two main types of life insurance – Term and Permanent Life Insurance. You will find that many people become confused between “Permanent Life Insurance” and “Whole Life Insurance” as many times they are incorrectly interchanged. Permanent Life Insurance provides lifelong protection, and the ability to accumulate cash value on a tax-deferred basis. Unlike Term Insurance, a Permanent Insurance policy will remain in force for as long as you continue to pay your premiums. Term to 100 is considered to be a Permanent Life Insurance product. Whole Life Insurance, sometimes called “Ordinary Life Insurance,” is a life insurance policy which is guaranteed to remain in force for the insured’s entire lifetime, provided required premiums are paid, or to the maturity date. Whole Life Insurance is simply a form of Permanent Life Insurance as is Universal Life Insurance. Participating Life Insurance policies are usually a Whole Life policy that pays dividends. The dividend is a portion of the insurance company’s profits that are paid to policyholders as if you were an investor or stockholder. Dividends are never guaranteed. Non-Participating Life Insurance policies are usually a Permanent Life Insurance policy that does not pay dividends to the policyholders such as a Term to 100. Unlike Term Insurance, Whole Life Insurance offers “permanent or life-long protection” with a cash value account that grows over time. Whole Life Insurance provides a level death benefit and level premiums throughout your life and for as long as you continue to pay the premiums. 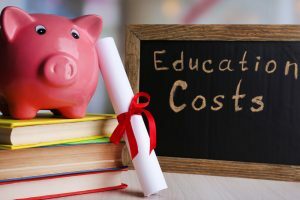 However, it is important to note that the cost of your Whole Life Insurance can be as much as three to five times as much as Term Life premiums. But the good news is that because your premiums are locked in at the level cost for life regardless of what happens to your health, you will never experience the large increase in costs that are experienced by Term Life policies when they renew after their terms! Whole Life Insurance also contains a cash value account that builds over time, slowly at first and gaining steam after several years. You can withdraw your cash value or take out a loan against it, but remember, if you die before you pay back the loan, the death benefit paid to your beneficiaries will be reduced. Look to Universal Life Policies if you’d like your investment to potentially increase the death benefit. As with any other type of insurance you may purchase, it is important to first decide WHY you are buying your insurance and then decide whether Whole Life Insurance works for you. If you have a long-term insurance need and you want to supplement your retirement savings and long-range financial flexibility, a Whole Life Insurance policy may be the perfect fit for you. If you do decide to invest in a Whole Life policy, understand its benefits and limitations and then commit fully to it long term so that you can best utilize the policy to achieve your financial goals. Ordinary Whole Life Insurance – premiums are level as long as you live, and your policy will build cash value. The initial annual cost or premium will be much higher than the same amount of term life insurance. Limited Pay Whole Life Insurance – premiums are paid for a specified period of time such as 15 or 20 years or perhaps to age 65. The policy guarantees that you will be insured for your whole life. Since you are prefunding your policy the premium payments will be higher than if your payments were to be spread out over your lifetime. Single Premium Whole Life Insurance – your policy is fully paid up after one large initial payment – no premiums for the rest of your life and you are fully insured for you whole life. The Cash Value Account within a Whole Life policy builds up over time, tax-deferred, and is funded by the portion of your premiums that are not used to pay for the insurance costs and any interest paid by the insurance company. The cash value and death benefit can never decrease in value unless you start withdrawing the cash value from the policy, or unless you stop paying your premiums. At some point, the cash value may eventually earn enough that it could be used to pay for your premiums until you die. Please keep in mind that Whole Life Insurance contracts are designed for you to take advantage of the Cash Value in your policy while you are alive because, when you die, your beneficiaries receive the death benefit, but not the cash value that has been accumulated. However, there are many options to choose from when purchasing a Whole Life Insurance policy that will change the nature of the pay-out at death, so be sure to discuss your options when you speak with Health Risk. 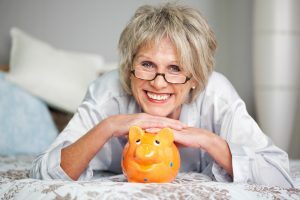 In Canada, you can invest in your future using RRSPs, however, you are only deferring taxes as you will pay taxes on all of the money you withdraw during retirement. But when you invest in a Whole Life Insurance policy you pay the premiums with after-tax dollars and the cash value grows without being taxed. The only time you will be taxed is if your withdrawals from your policy exceed what you put into it. You can also remove any gains in your policy tax-free by taking a loan against your policy. One of the many advantages of a Whole Life Insurance policy is that they pay dividends. The dividends when received are not taxed as they are considered to be more of a return of premium. When creating your policy, you can determine if you wish for your dividends to come out to you in cash, reinvest it in the cash value of your policy or use it to purchase additional, paid-up insurance. As I mentioned earlier, you will want to ensure that you are using your Whole Life Insurance policy to supplement either your Retirement of creation of Financial Flexibility. One extremely beneficial advantage of your Whole Life Insurance policy is that you are able to borrow against the Cash Value. Perhaps you wish to assist with your grandchildren’s education or first home purchase, or perhaps you and your spouse wish to take that European vacation you have always dreamt about!! The Insurance Company will charge you an interest on your loan, but the loan rates are usually very competitive with current interest rates. Usually, the loan balance can be repaid at the time of death by deducting it from the death benefit. Another advantage to borrowing against your Whole Life Insurance policy is that you can potentially create a tax-free income for yourself. When you borrow against the policy you are taking the money out of the policy tax-free. 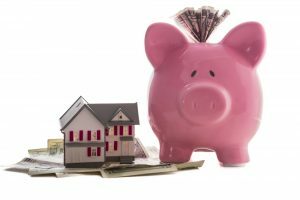 Although you will pay interest on the loan, depending upon your income tax bracket, the interest would be substantially lower than what you would pay in taxes. Again, the loan balance can be repaid at the time of death by deducting it from the death benefit. Whole Life Insurance policies are extremely complicated! Each insurer offers very subtle differences in the structure of their plans that may affect your ability or inability to use your policy in the manner in which it was intended. At Health Risk, we believe that it is imperative that we first of all have a clear and concise understanding of what your insurance needs and priorities are, and then we will proceed to conduct thorough research of the Whole Life Insurance programs that are available to ensure that you are purchasing the right policy to fit your requirements. We will enlist an experienced professional team to ensure that you are receiving the absolute best financial advice for your individual needs! You can count on us!